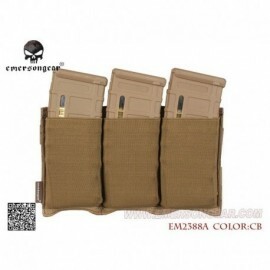 Emerson G-Code Style 5.56mm Tactical Mag Pouch TAN Rigid inner lining for retention.Fully adjustable tension.Dimensions 4.25 " x 3" x 1.63 "(inches).Tan color.Perfectly compatible with magazines M4 / M16 / ETC. 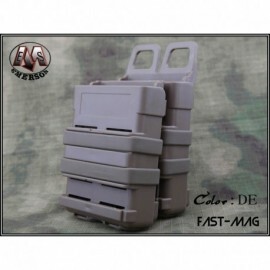 Fast pocket universal chargers A rubber band keeps locked and members of the aricatori, not making them dance or move quickly and making them available for extraction. 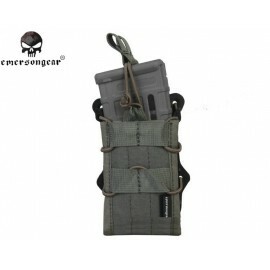 Built in 500 / 1000D fabric tensoelastic and highly durable. 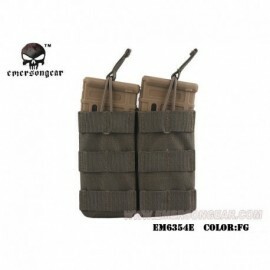 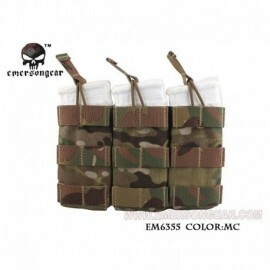 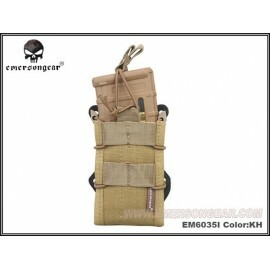 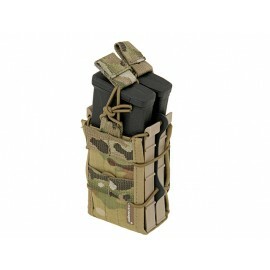 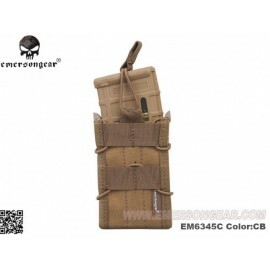 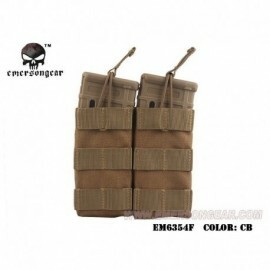 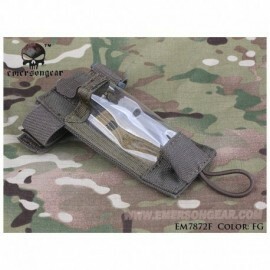 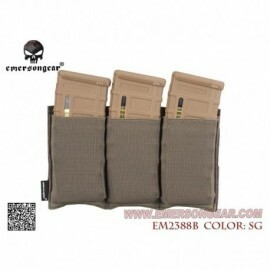 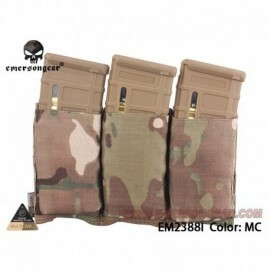 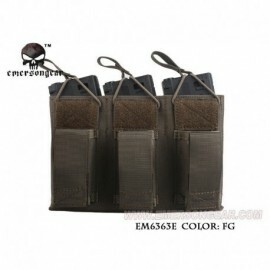 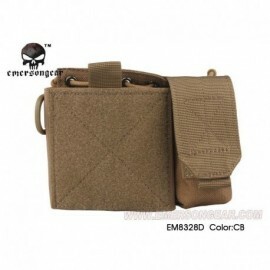 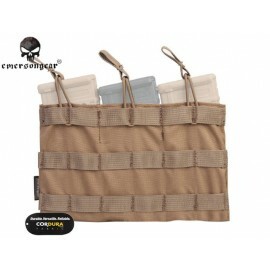 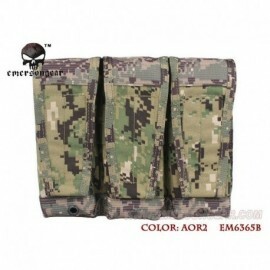 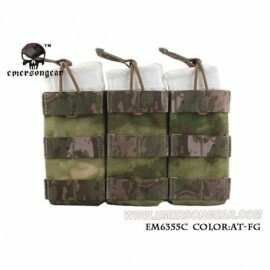 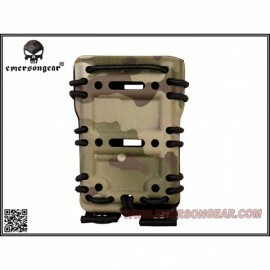 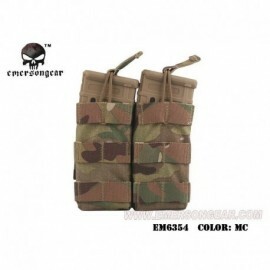 Emerson G-Code Style 5.56mm Tactical Mag Pouch MULTICAM Rigid inner lining for retention. 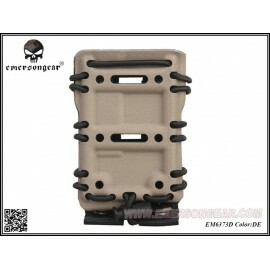 Fully adjustable tension.Dimensions 4.25 " x 3" x 1.63 "(inches).Perfectly compatible with magazines M4 / M16 / ETC. 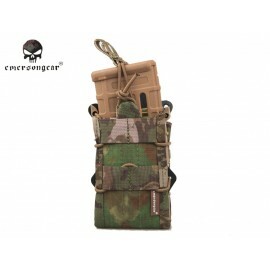 Triple magazine pouch pocket with Velcro flap Made entirely resistant Cordura 500D Molle system Paraclete style, quickly and safely, prevents wear on the buttons.